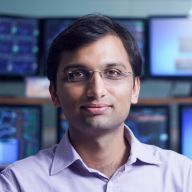 The passion towards data, analytics and technology is what makes Vivek Bajaj a financial market survivor. The journey as a market participant started in 2002 when the first trade was executed in options contract of ITC. Life was simpler and easier during that time. Since then technology and Big data has taken over totally. As an early adapter to the complex tools, Kredent was formed to capitalise on the opportunities. 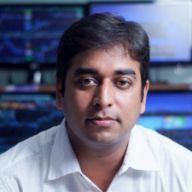 He is cofounder of StockEdge and is committed to bring simplicity in complex world of market data. He is a Chartered Accountant, Company Secretary and an MBA from IIM Indore. He is a part of various committees of exchanges and regulator and he has been an active contributor in the evolution of Indian Derivatives Market. The passion of mathematics gives him enough reason to be a technologist even though he is a Chartered Accountant. He says software development runs in his blood and he doesn’t need formal education for the same. With over 15 years of experience in the domain of Data Analytics, Assurance, Software Development and Consultancy, he has seen the evolution of the industry from legacy and customised exe based software to modern Cloud Platforms. He has played a pivotal role in decoding the corporate database through his XBRL platform. StockEdge is a natural extension of this expertise of playing with data using technology and creating a robotic framework which will make life easy for mass. Vineet has over 8 years of rich experience in the domain of knowledge. As co-founder of various initiatives, he has added tremendous value in building digital business ecosystem with specific focus on creating framework for innovative knowledge delivery in society. 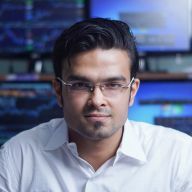 He is an IIM Indore Alumnus and also a Chartered Accountant and his interests include digital marketing, blogging on recreational mathematics, travelling and has a passion for teaching. He spearheads the Business Development activities for StockEdge.